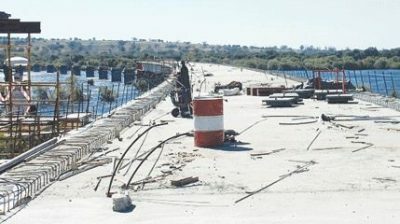 The Zambian government has issued another empty statement calling on workers constructing the Kazungula Bridge to resume work. Korean multinational Daewoo Engineering and Construction which is constructing Kazungula Bridge shut down the site due to non payment of money by the Zambian government. Housing and Infrastructure Ministry Permanent Secretary Charles Mushota made the appeal today and claimed that the Zambian government has deposited K20 million Kwacha in the Zambia National Road Fund account for onward transmission to Daewoo but the money has not yet reflected. Two weeks ago, the watchdog revealed that construction workers at the bridge had gone on strike because they had not been paid their February salaries. The contractor could not afford to pay workers because Zambia owes Daewoo $14 million. Botswana and other cooperating partners are however up to date with their commitments.